In today’s rumor rundown there are updates in Dallas surrounding the team and the comments made by Jim Lites towards Jamie Benn and Tyler Seguin, there is news out of Calgary as it pertains to Michael Frolik, and there are a number of updates on other teams including the Edmonton Oilers who won a game in Arizona on Wednesday but still have a ton of holes the organization needs to fill. Clearing the Air in Dallas? 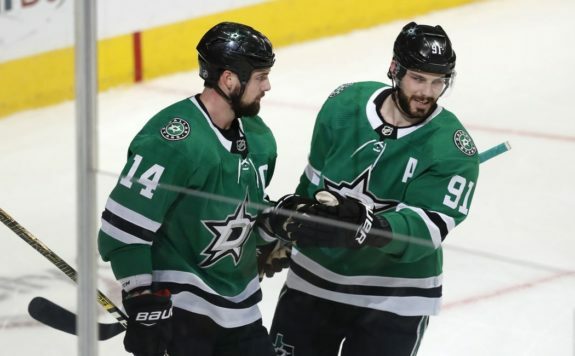 Elliotte Friedman of Sportsnet reported that Dallas Stars owner Tom Gaglardi met with Jamie Benn on Monday and was to meet with Tyler Seguin quickly following that Benn meeting to try and clear the air regarding the comments made by Stars CEO Jim Lites. It was expected Gaglardi’s message was that things went too far and things got too personal. I spoke with Sean Shapiro of the Athletic on Thursday morning as part of The Hockey Writers Podcast and Shapiro was curious about how much of a risk it was to take this approach and that the Stars took a huge risk when they came out so publicly, specifically when it comes to Jamie Benn who may not take as kindly to the message and the way it was delivered. As a team coming into a city that hasn’t talked directly to Benn or Seguin about this story, opposing team reporters will want both players to answer questions about the story and that’s not a distraction the team needs at this point. 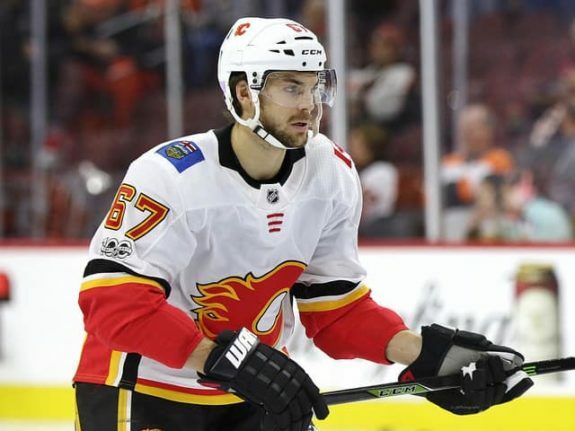 After it was somewhat shocking that agent Allen Walsh took a shot at the Flames organization for their treatment of Michael Frolik, Friedman also reported the Calgary Flames, GM Brad Treliving, and Michael Frolik all knew Walsh was going to send out the tweet that caught everyone’s attention, as Walsh always consults the player or talks to the team first. At the end of the day, the Flames won’t trade Frolik unless it improves the team or the Flames can acquire a left-handed defenseman. The Vancouver Canucks are shopping Nikolay Goldobin. The New York Rangers will be sellers at the deadline but not likely before it. The Ottawa Senators will wait on pending UFAs Matt Duchene and Mark Stone but have talked with pending UFA Ryan Dzingel. The Carolina Hurricanes are negotiating with Micheal Ferland but if they don’t work out a deal he’ll likely be traded. There are no ongoing talks between the St. Louis Blues and pending free agent defenseman Joel Edmundson. There may be no news on Islanders pending UFAs in Brock Nelson, Anders Lee, Jordan Eberle, Valtteri Filppula, and Robin Lehner. 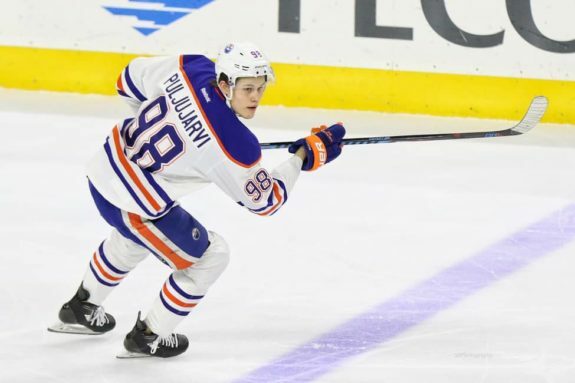 Darren Dreger was on NBCSN and discussed the depth the team added on the blueline and how it cost the Oilers a top-nine forward to add that depth. Dreger said that the Oilers aren’t probably done making moves and that there are too many holes to fill and perhaps not enough assets on the team to acquire them. Dreger adds that half of their forwards are not contributing players. If they don’t make the playoffs, management changes could be coming. If the Oilers find themselves out of the playoffs, fans should expect some other bigger moves. A recent article by Jimmy Greenfield on the Chicago Tribune speculated the Blackhawks might keep dealing. Stan Bowman already shipped Nick Schmaltz to the Arizona Coyotes and on Sunday traded defenseman Brandon Manning to the Edmonton Oilers. Are there more big deals to be made? If so, it would likely include Brandon Saad or Artem Anisimov. Saad doesn’t have a no-trade clause and Anisimov can be dealt to 10 teams from a list he submitted to the Hawks. Chicago should be a team to watch as the NHL moves closer to the trade deadline.